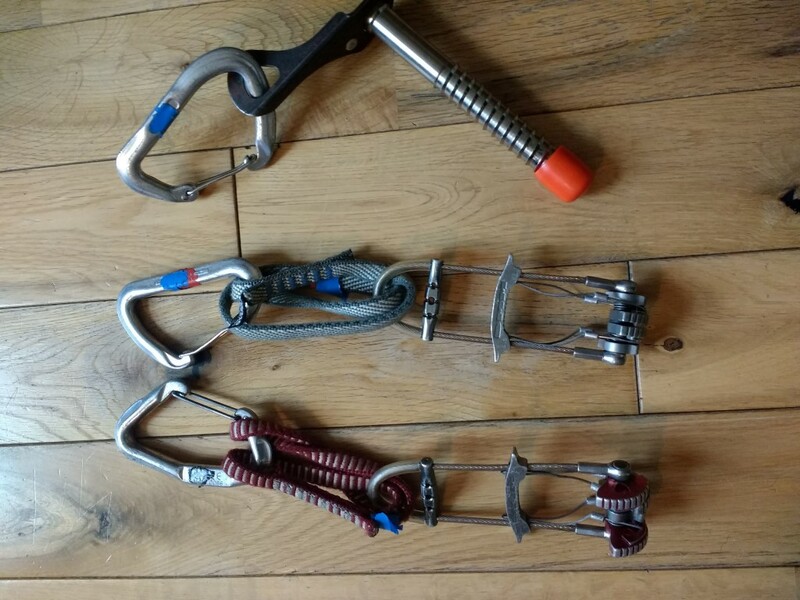 This rack is a good starter for easy rock climbs, scrambling and grade I and II winter climbs. 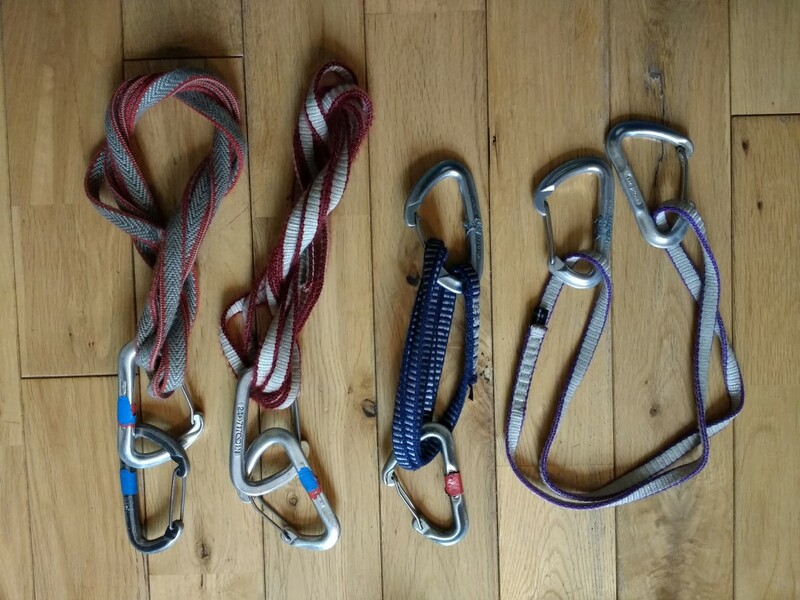 Before we talk about a rack – what about ropes? For easier climbs, I’d recommend a single 50m to 60m rope. Try and get one that’s not supper skinny – certainly 9.5mm+. Thinner ropes will abrade more, so a thicker rope is no bad thing. Many modern ropes have a more abrade resistant coating, and are sharp-edge tested. 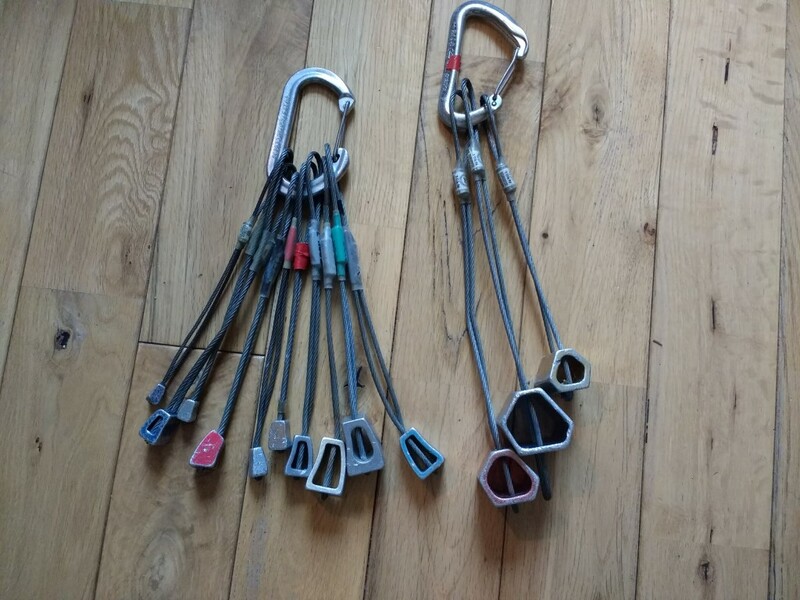 For mountain use, It’s got to be dry treated, other wise in winter, it will freeze, be impossible to belay with and you’ll have to fold it to get it into your rucksack at the end of a route! Dry treated ropes are expensive. In the summer, a non-dry treated rope will absorb water if it rains and it will be come super heavy. If you are cragging, you might choose to dispense with dry treatment for now. Once you progress to harder routes you can worry double-ropes. First, rock protection – a set of wires 1-10 plus some larger hexes is a good starting point. I prefer hexes on wire, but sling attached hexes are a good, too. Add two 60 cm length slings with snap-gate karabiners for runners; plus another two 120cm slings each with two snap-gates. Extended runners are more versatile on winter climbs and easier routes. You can use the 120cm slings around spikes, too, so they are doubly useful. Add another 120cm sling and a 240cm sling on screw gates. 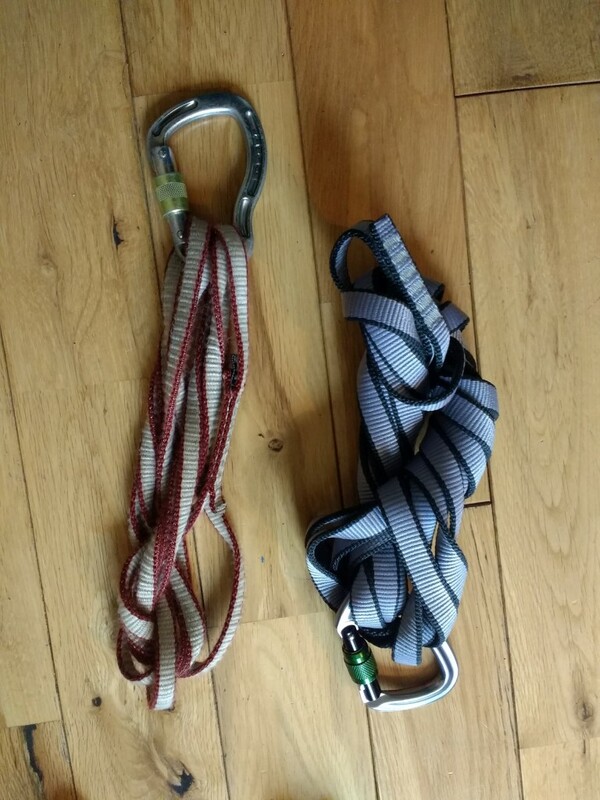 240cm slings are useful for equalising anchors and throwing around massive blocks for anchors or runners, however they can be a pain to fold out of the way. 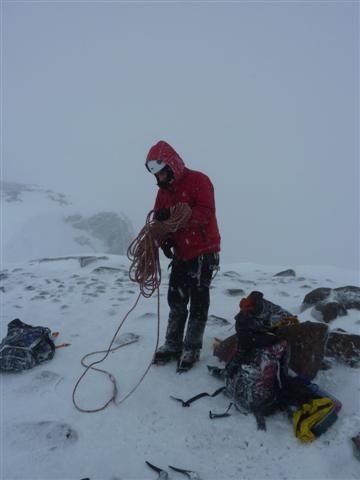 A note on sling width – avoid the thinnest dynemma for winter climbing as it is fiddly in winter to undo if knotted with gloves on. It also abrades more quickly. Add a handful of screwgates – I prefer lightweight HMS style karabiners as they are more versatile. Smaller screwgates are great of clipping on gear; bigger brilliant for clove-hitching into or using with Italian hitches. That will get you up loads of climbs. You might want to add 1-3 Cams and some ice protection for harder routes. 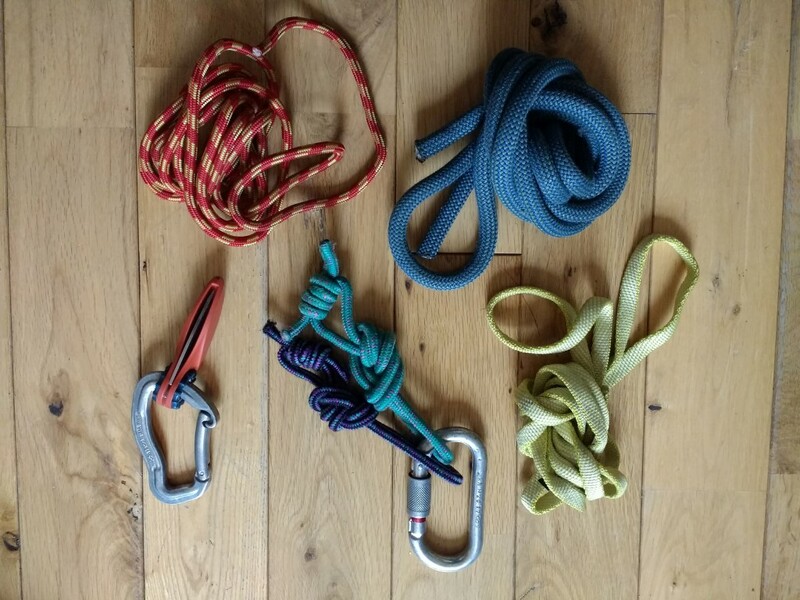 Some old slings and ropes and a knife for abseil anchors, as well as some prussick loops (and the knowledge of how to use them!). 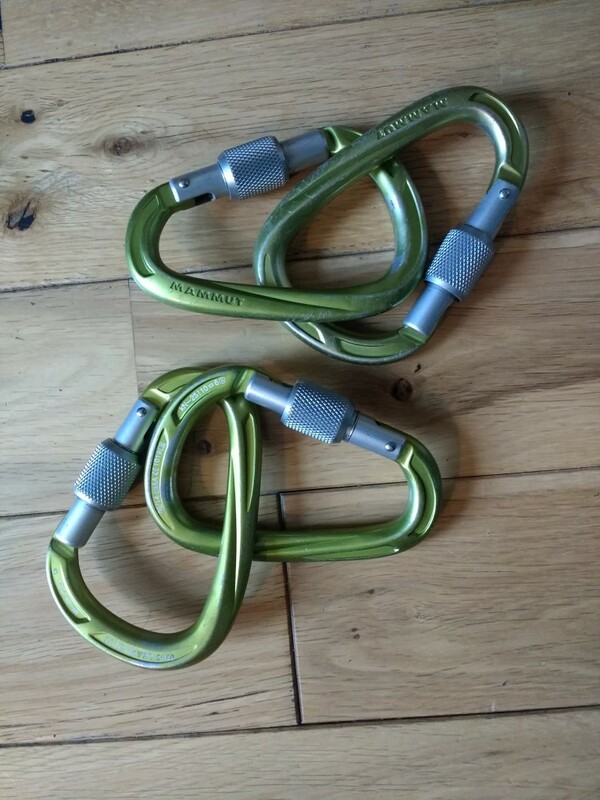 Finally – have a think about karabiner size. 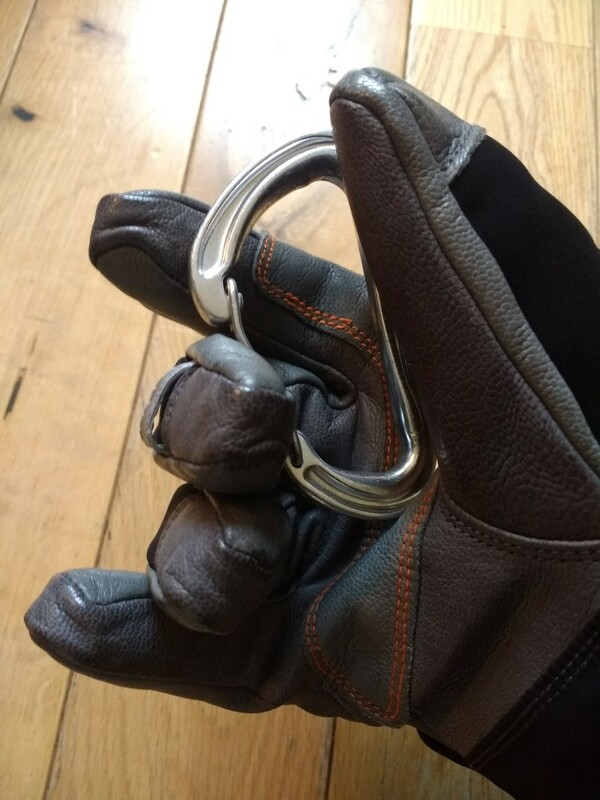 Small, lightweight karabiners are fiddly to use with gloves on, so try and get larger karabiners. If in doubt, wear your gloves in the shop to try out before you buy. –More Runners – you can add some “quick draws” – maybe double the amount especially if you progress to double-ropes. –Extra rock protection – fill in the gaps in your cam selection; add smaller sizes and bigger. Bigger sizes can be accommodated by the largest hexes. Add another, duplicate set of wires 1-10. –For winter: More ice screws, Pitons, Drive-in turf/ice protection such as warthogs or bulldogs.